Usually, all Nokia phones have the option to transfer incoming message from phone memory to memory card, but many models don’t have such an option such as Nokia Model No 3230, Ngage and some other models. Note: This Guide is for Nokia S60V2. Why to Enable Memory Card option for Message Storage? If you receive any file more than 5 MB using Bluetooth. This files are saved in phone memory, and you would get error saying memory full due to low memory in the phone. Because Phone memory usually has 7-9 MB. You might won’t be able to save the file, though you have some how saved the file on the phone, you might experience some serious low memory problem. Your phone will start experience problem like repeatedly restart, Slow Performance, Hanging Issue and some other problem too just due to low memory in a phone. Hence, if you don’t have an option to save in memory card, then follow the below Steps to enable Memory card option. 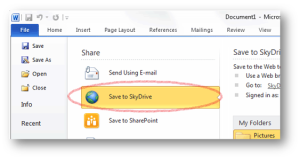 Step 1: Install MsvDriveE that will send all incoming messages to the memory card. 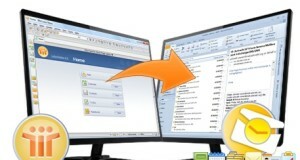 Download MsvDriveE. Step 2: Now, run the MsvDriveE application, you would see the blank screen, wait until the blank screen disappears. 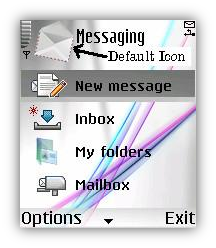 Now go to messages you would see icon changed from Default message icon to MMC Icon On Top. 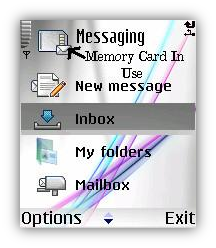 If you see MMC Icon, then it means that all incoming messages are going to be stored on Memory Card. You can always identify the memory in use by just checking the icon on the top. Note: You might have notice that all your old messages are not there in the inbox. Don’t Worry Your messages are present in phone memory. To get Old Message’s back, Turn your phone off, Remove Memory Card and Now start your Phone. You will get Your Messages Back. ohh..I searched through net for this and also found some sites and downloaded Msv drive.But their explanation was difficult to understand.Finally i checked this site.Awesome explanation with image took few minutes to understand.Thanks Djroshan.I found this sites cool and interesting..